Design Your Own Poster by selecting a combination of illustrations (e.g. all the 1993 winners or any other year, or all the winners of a specific team, or any other combination). See examples below. Jus send an email to al7pb @ wanadoo . fr to specify your personal selection and get a quote by return. 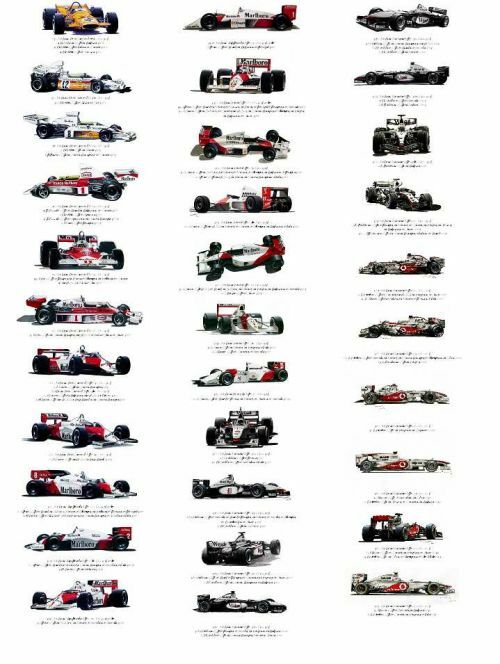 Each poster will be designed to your wishes, individually signed and numbered (glossy paper 250 gr/m2, size 63 x 43 cm as shown but size may differ v/s year and number of pics). 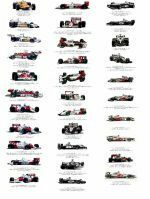 This poster shows the history of the McLaren Formula One team : all the victories of the F1 cars from the first win of Bruce McLaren in 1968 to the last wins of Jenson Button and Lewis Hamilton in 2012 are listed here below with the respective cars. (will soon be out of print, some copies left, will be updated & reedited, book it now). 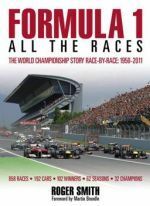 All the above mentioned illustrations have been included in Roger Smith book "Formula 1, all the races" the first edition of which has been published by Haynes in March 2012. 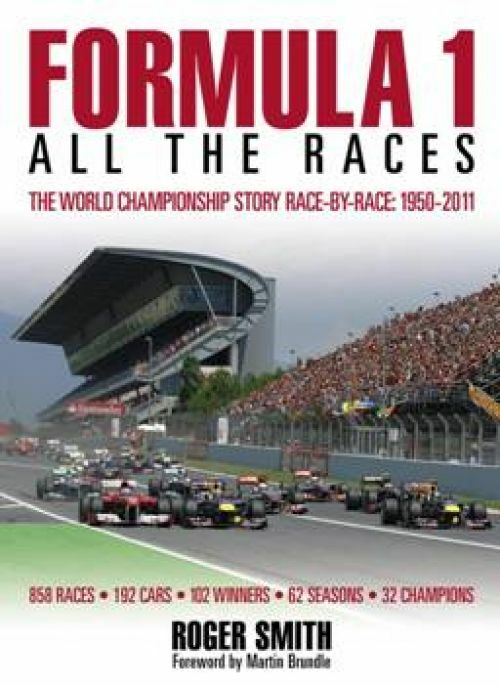 A 2nd edition has been issued in 2013. The 2015 edition is already in preparation.